During the last block of my first year of vet school I got to sit through some lectures on nutrition, including a lecture on equine nutrition given by Dr. Claire Thunes. I learned some really interesting stuff that I wanted to pass along to you. The good news is, if you’ve been following this blog for any length of time, especially through Farley’s tye up an my discussion of vitamin E and Selenium supplementation, there’s probably not a lot of new information here. I think that many endurance riders ARE well educated on the importance of vitamin E, Selenium, and the role of forage in a performance horse diet. As always, there were a few nuggets of information that were new to me and I’ll be implementing them into Farley’s nutrition routine. I’ll start with the introduction and general information that was presented during my nutrition class, and then follow it up with specific performance/endurance horse information that I learned in the equine portion of the lecture. Warning –> this is probably going to post in several parts over the next couple of days. I’ll try to work on it daily and have the series finished up by the end of the week :). The term “vitamin E” is a term used to describe several compounds. There’s all sorts of naturally occur forms with various names, but the one you need to be aware of in terms of meaningful nutritional activity is alpha-tocopherol. D-alpha-tocopherol has the greatest activity, synthetic sources of vitamin E are a racemic mixture of D and L-a-tocopherol (I see some of you gamely reaching deep into the recesses of your brain trying to recall your organic chemistry. Don’t bother. Basically, look for the alpha-tocopherol designation on the vitamin E label, and realize that D and L forms exist, which are mirror images of each other, and the mirror images have different biological activity. See? Simple!). As most of you probably remember, Vitamin E is one of the fat soluble vitamins and is unstable/reactive and has to be packaged nicely so that it stays good for the body to use. Vitamin E is often used to control the rancidity of fat in foods while it’s in storage, but it’s a balancing game because the same factors that will cause fat to go rancid (heat, light etc.) also cause vitamin E to break down, in addition to the vitamin E that used up controlling the rancid fat……How food is stored MATTERS. Hot warehouses are not your friend. Putting your horse/dog/cat food in a clear container where the sunshines is not good. Putting that food anywhere the sun can heat it up (like a garbage can out in the open) is not good. The unstable nature of Vitamin E is one reason I’ve struggled with how to supplement it. It has to be processed with a stablizer/carrier –> I’m feeding a human supplement, but how much of that is actually bioavailable to the horse digestive system since that’s not what that particular product was designed for? How was that supplement stored before I got it, especially if I am feeding a horse specific product that wasn’t stored in a human grade warehouse? How am I storing it? Fortunately I was able to talk to Dr. Thunes about my concerns and got some really good advice that I’ll be sharing later in the post :). I’m getting off track, biology first, THEN practical application. 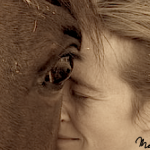 I know –> most of you probably don’t care about all this theoretical stuff and just want me to get down to the bottom line, but trust me, I’m only sharing the nit-picky details that I think are important as you make your own decision (perhaps in conjunction with your vet) about what program you want to put together for you and your horse. Alrighty. So how/why does Vitamin E work? It’s primary function is that of an ANTIOXIDANT. I won’t bore you with the details, but basically it protects the cell membranes in the face of oxidative damage (I think –> anywhoo it’s some sort of oxygen-type radical damage that I don’t feel like looking up). In the whole cascade of antioxidant activities, it works in CONJUNCTION with Selenium. That’s why vitamin E and Selenium are often talked about in the same breath. Natural sources of vitamin E aren’t even worth mentioning. Of course I was given a list in lecture –> vegetable oils, eggs and liver, green forages esp alfalfa — that we all dutifully copied down. The nutritionist giving this lecture was primarily a small animal person and although many of the concepts were universal, some of the information given, like good sources of vitamin E in animal diets, didn’t ring true from what I knew of horse nutrition. When I ran these sources by the equine nutritionist, I was told that most vegetable oils lose the vitamin E during processing, and drying forages completely destroys the vitamin E in them. Thus feeding dry forages to horses does NOT provide vitamin E (even if it’s alfalfa) and feeding oil will not substitute for vitamin E supplementation. On the other hand, fresh pasture has LOTS of vitamin E. However, I think at least in my part of California, adequate access to pasture is a rariety for most horses. In my equine nutrition lecture is was recommended that performance horses have a high level of vitamin E in their diet –> when I asked afterwards exactly what levels were recommended, it was in line with what I’ve been feeding. 3,000 I/U normally, increased to 5,000 I/U 2 weeks prior and 2 weeks after an endurance ride. It was the equine nutritionists belief that Vitamin E deficiencies (because you can assume your horse doesn’t get any from the hay…..) MIGHT cause some of the disease processes that we are seeing –> i.e. small deficiencies of vitamins and minerals may not seem relevant/harmfull right now, but over time may lead to a shortened career or life span. Continued in the next post…. Okay, wow, good stuff so far…KEEP GOING! We have *awesome* pasture this year, for a few months. My pasture is 4 acres of lush green right now–probably plenty of Vitamin E…at least until August. Selenium, though, not so much. Don’t worry, I’ll trudge through this series in a timely way!! Fish oil is probably NOT a good idea –> look at my “fats” post that I think posted a couple weeks ago. Feeding fish oil increases the vitamin E requirement because of the PUFA content, better to feed canola oil (and remember to stay away from corn oil). Realize that feeding oil does a lot of things including getting calories in at an efficient rate, providing some increase in aerobic function, and contributing to the omega 3/6/9 thingy, however I’m not sure that I would attribute increased immune function to oils, even fish oils, and in fact, feeding fish oil to a horse already deficient in vitamin E will make things worse….